The Maryland PSN Program is a joint effort by federal, state and local law enforcement agencies, the U.S. Attorney’s Office in Maryland, and local prosecutors to identify, investigate and prosecute the individuals or organizations driving violent crime. 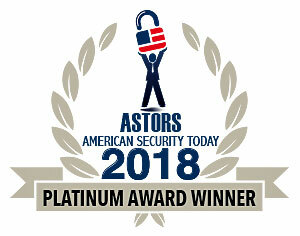 Project Safe Neighborhoods, a nationwide initiative that brings together federal, state, local and tribal law enforcement officials, prosecutors, and community leaders to identify the most pressing violent crime problems in a community and develop comprehensive solutions to address them, has been honored as a 2018 ‘ASTORS’ Excellence in Homeland Security’ recipient. Additionally, The U.S. Attorney’s Office (USAO), for the District of Maryland recognized 40 police officers and federal agents on Friday, for outstanding work in the Maryland Project Safe Neighborhood (PSN) program which resulted in significant federal violent crime prosecutions. Recipients of the USAO awards included officers from Anne Arundel County, Baltimore City, Baltimore County, Frederick, Greenbelt, Maryland National Capital Park Police, Maryland Department of Public Safety and Correctional Services, Montgomery County, Prince George’s County, St. Mary’s County Sheriff’s Office; and federal agents from ATF, FBI, and HSI. “Local, state and federal police and prosecutors are working together to combat violent crime in Maryland. The hard work of these law enforcement officers and prosecutors led to dozens of convictions of dangerous criminals,” said U.S. Attorney Robert K. Hur. The USAO honorees participated in the investigation and prosecution of more than 17 violent crime cases involving more than 101 defendants, including armed robbers, carjackers, violent gang members, and drug dealers. A majority of the defendants have previous felony convictions and many are career offenders and/or armed career criminals, which reflects how the PSN program focuses federal resources on the more violent criminals plaguing our communities. United States Attorney Robert K. Hur commended all the honorees for their work on these violent crime investigations, and also thanked the Assistant United States Attorneys who prosecuted the cases and nominated their agents for these awards. Please see a complete list of USAO awardees below. Proactive PSN investigations use federally-led task forces to investigate gangs, drug trafficking organizations, and robbery crews that have been identified as being connected to past or present acts of violence. Prosecutors then use federal racketeering, drug, firearms, and robbery statutes to prosecute those groups. As a part of the reactive firearms and violent crime prosecutions, certain firearm, commercial robbery, bank robbery, and carjacking cases are screened to determine whether federal prosecution is warranted. The last component of the PSN program involves training and outreach. In conjunction with state prosecutors, the USAO provides training to local law enforcement on a variety of issues. The USAO is also seeking creative ways to reach out to the community in an effort to deter violent crime. PSN partners reach out directly to ex-offenders to prevent recidivism through “call-ins,” making ex-offenders aware of services available to assist them and of the consequences if they re-offend. The billboards should be up for the next several months. Since 2017, the partnerships have achieved extraordinary results. In 2017, a total of 334 defendants were charged in PSN cases. For 2018, as of November 1, the office has already charged a total of 328 PSN defendants. In June 2017, two more members of the Murdaland Mafia Piru Bloods (MMP Bloods) gang were charged with racketeering conspiracy. This gang plagued their territory in Northwest Baltimore. The recent new charges brought to 26 the number of alleged MMP gang members and associates charged with murders, assaults, abduction, witness tampering, and with selling heroin, cocaine, and fentanyl. Nineteen of 26 defendants have pleaded guilty and 15 of those have been sentenced to between 71 months and 30 years in prison. A trial date for the remaining defendants is scheduled for March 18, 2019. In January 2018, three members of the Black Guerilla Family (BGF) gang were convicted of federal crimes related to their drug-trafficking activities, including murders, shootings, and armed robberies. Their sales of cocaine, heroin, ecstasy, marijuana, and oxycodone plagued the Barclay neighborhood of East Baltimore. The leader (Gerald Johnson) and the chief enforcer (Kenneth Jones) were each sentenced to life in prison. Six other defendants received between 90 and 378 months in prison. The last defendant will be sentenced in January 2019. PSN is a nationwide Justice Department program committed to reducing gun and gang crime by networking existing local programs that target gun crime and supporting those efforts with training and funding. In June 2018, the ninth member of the Up Da Hill gang in South Baltimore’s Cherry Hill was convicted of charges relating to the gang’s activities, including murder, robberies, and selling cocaine and heroin. This was one of a series of four gang prosecutions in the Cherry Hill neighborhood; a total of 49 defendants have been charged in these RICO and VICAR cases. On August 13, 2018, a member of Normandie clique of MS-13 was sentenced to life imprisonment resulting from his conviction at trial of participating in a RICO conspiracy that included three murders and four attempted murders in Prince George’s and Frederick Counties. The RICO charges included a total of eight members and associates of the Normandie clique. Sentences for the defendants ranged from twelve years to life in prison. In September 2018, the leader of West Baltimore’s violent Pedestal Gardens gang was sentenced to 25 years in federal prison, and the manager of a related drug organization was sentenced to 12 years in prison, for conspiring to sell heroin and fentanyl. Members of the organization murdered two suspected rivals and the group brought wholesale quantities of heroin and fentanyl into Baltimore. A total of 14 individuals were charged in the conspiracy. Thirteen pleaded guilty and one was convicted after trial. On September 7, 2018, the leader of the MS-13 Maryland Program and Park View clique pleaded guilty to a violent racketeering conspiracy that included attempted murder. The RICO charges involve seven members of MS-13 who committed multiple murders, extortion, robbery, assaults, threats of violence, distribution of controlled substances. Five of the charged defendants, including the former leader of the Weedoms MS-13 clique and members and associates of the Cabanas clique, have pleaded guilty. Two remaining defendants, the former leader of the Cabanas clique and a member of the Sailors clique, are scheduled for trial in January 2019. On October 23, 2018, a defendant who committed a string of ten armed robberies with multiple co-conspirators was sentenced to eleven years in federal prison. In his guilty plea, the defendant admitted to robberies of convenience stores in Gaithersburg, Derwood, Hyattsville, Gambrills, Kettering, Rockville, Glen Burnie, Millersville, and Morningside, Maryland. In the course of each of the robberies the defendant brandished a firearm and ordered the victims, convenience store cashiers, to empty the cash registers. On co-conspirator was sentenced to 9 years in prison, while the other two conspirators have yet to be sentenced. On October 31, 2018, after 24 days of trial, a federal jury convicted eight members of Trained To Go (TTG), a violent criminal organization which operated in the Sandtown neighborhood of West Baltimore, whose members engaged in drug distribution and acts of violence including murder, armed robbery, and witness intimidation. Their leader, Montana Barronette, was found personally responsible for seven murders, and in all, the jury found the defendants responsible for a total of nine murders in Baltimore. On November 2, 2018, we brought to justice the killer of three-year-old McKenzie Elliott, who was shot to death as she stood on her front porch, when she was struck by an errant bullet during a gang dispute. Terrell Plummer admitted that he killed McKenzie Elliott, and Tyrone Jamison admitted that he supplied the gun used in the shooting. Both men were members of the Old York Money Gang, a violent gang that operated in the Waverly neighborhood and sustained itself largely through the distribution and sale of drugs, as well as through murder and other violent crimes. All of Project Safe Neighborhood partners, which includes the U.S. Attorney’s Office, ATF, DEA, FBI, HSI, the U.S. Marshals Service, the Baltimore Police Department, the Prince George’s County Police Department, the State’s Attorney’s Office for Baltimore City, and the Prince George’s County State’s Attorney’s Office, are utterly committed to working together to reduce violent crime in Maryland. The PSN Program identifies and targets the most dangerous offenders for federal prosecution, bringing to bear the full range of federal investigative resources to make our state’s residents safer. We are grateful for the partnerships that make these results possible will continue to work tirelessly for the good of the citizens of Maryland. Previous articleHow Heavily Armed is Your State?